Monitor and release Oak seedlings from personal nursery in Madison. Mix of Red Oak and White Oak (Burr Oak). 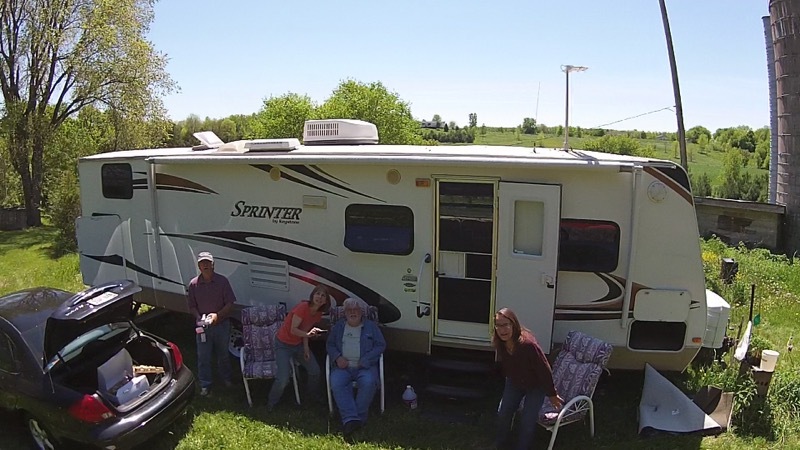 First summer in our new trailer. Spend more time with Debi at farm. 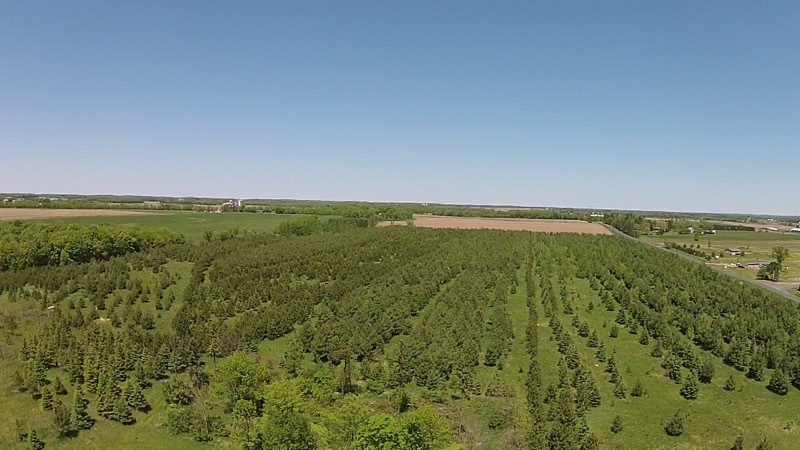 Check to see if any of the seeded trees (white and red Oak acorns into barnward and along bottom edge of old windbreak, in west windbreak, and by chestnuts in spruce patch) have grown. The Eagles didn't return this year. I think it may be because we had the trailer parked north of the old barn foudation and they thought this was too close. I hope this is all and not that something happened to them. Take arial photographs and videos fo the farm using new Drone. Last fall we bought this camper trailer so we could stay closer to the farm on our work trips. This will give us a taste for living here in case we persue our plans to build uere and perhaps move here permanently. Water pump quit while I was winterizing last fall. Replaced with larger, newer, model. Antenna handle broke while I was packing the trailer in for the winter this year. These are readily available for $10.00 on line. I used a vice-grip to finish taking it down. The consensis on-line is that these cranks should be built better (even if it costs more). Looking to the north from the drone. This is taken in May of 2015. Since it's early spring you cannot see the hardwood trees very well since teh leaves aren't fully out. 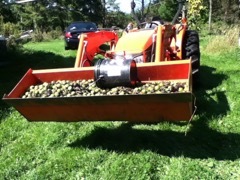 There was a huge crop of Walnuts this year in the old walnut stand in the yard. I gathered 4 or 5 bucket loads in the yard and dumped them out in various places in the woodlot where I needed more trees planted. I am counting on the squirrels to distribute these nuts around the area of the pile and then forget where they 'planted' them. This technique has worked for friends in the past and I hope it will work here. I have evidence of the success of this process all over the yard where there has been planted a thicket of walnut seedlings over the years. 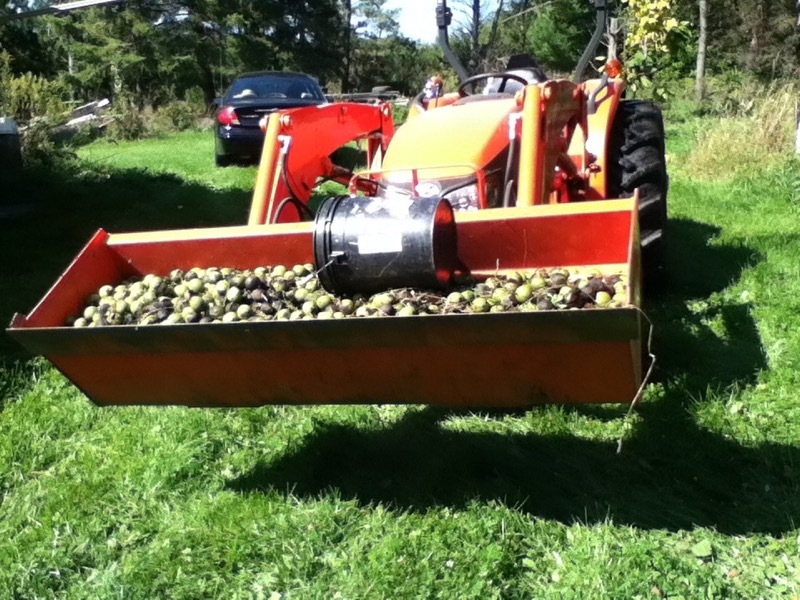 Walnut trees have evolved to have thir seeds planted in exactly this manner so I see no reason that it won't work now. (It would help if the squirrels run into some sort of demise over the winter so they haven't time to dig up all they have planted for food. 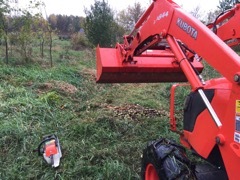 I dumped a couple buckets in the lower field and at least one up in the old spruce patch N. of the orchard.